Clint showed no emotion as we lowered him into position. He was busy directing himself. Our group of expert climbers was unusually silent. This rope-cutting stunt was special, and I’m sure all were relieved that they were not on the end of that rope. Clint was more worried about the Swiss Army Knife that he grasped in his right hand to cut the rope. It had been honed to razor sharpness, and he felt that there was a danger that he wouldn’t immediately drop it the instant he severed the fibers. It illustrated his clarity of mind that he could dismiss the danger of our gallows disintegrating and concentrate on dropping the knife. He was keen to start. After a few days out in the woods, it’s inevitable that the “What are we going to eat when we get back to civilization?” conversation is going to make its way to the campfire. We all have our favorites, and around these parts, it usually involves something Mexican. So it’s no surprise that on our recent excursion to the southwest, we were more than excited to taste some local fare. Perhaps it’s cheating to mention Tania’s 33 in this conversation as we actually ate here before departing to the Organ Pipes, but I can’t help but think that Tucson, AZ will be an après-camp destination for some of you in the months to come. I don’t believe we’ve ever plugged a restaurant here on Cold Splinters before, so I’m happy that Tania’s is our first. There are all sorts of burritos out there in the world (Papalote after a long afternoon hike in Point Reyes is a fine choice) but the stupidly-good homemade flour tortillas (they’re vegan) and range of filling options (for those of you who don’t eat meat, their homemade soyrizo is, well, also stupidly-good) to satisfy any hungry hiker. And the owner, Rudy, who is pictured above, is just about the nicest guy in the world. It’s impossible to get him to shutup, so don’t ask too many questions about the impossible-to-read menu. Just go with it. Best pre/post camping meal I ever done had. Thanks to our host, Eric from MOCS1986, for the recommendation. I’m sure you all have favorites, so hit me in the comments. Day at Night was a public television program that aired from 1973-1974, hosted by the late James Day, former president of both San Francisco’s KQED and New York’s WNET. Above is an interview with Wallace Stegner who eloquently talks about the dream and history of the American West; “This was a kind of a Huckleberry Finn place to grow up, a marvelous place for a child.” There’s mention of Hudson Bay Company, Scarlet Fever, and of course, The Big Rock Candy Mountain. Well worth watching during your lunch break. It’s the end of January and that can only mean one thing. It’s OR time. Cold Splinters is off to Utah today, so if you’re around for the show, get at me. 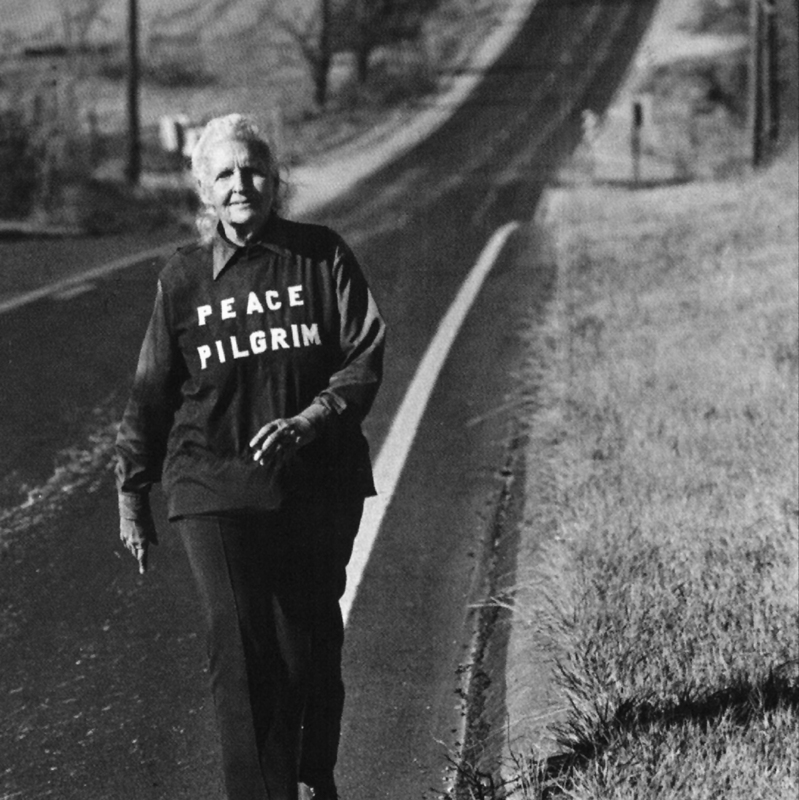 Her sixth stage and final step, at which she arrived at complete inner peace, came in the fall of 1952, at the end of a long and extraordinary journey on foot. On April 26, 1952, Mildred Ryder began a 2,050 mile hike of the Appalachian Trail and parts of the Long Trail. She started her hike north from Mt. Oglethorp in Georgia, and headed toward Mt. Katahdin, in northern Maine. On the way, she made a 165 mile detour, and also hiked the northern half of the Long Trail in Vermont from the point where the two trails diverge mid state. She then returned to central Vermont and completed the remainder of the AT trek in October 1952. Completing this walk, she became the first women to hike the entire length of the Appalachian Trail in one season. At the end of this remarkable journey, she also achieved total inner peace and discovered what she was called to do. She had been hiking for five months, living outdoors completely, equipped with only a pair of slacks, one shirt and sweater, a blanket and two plastic sheets. Her menu, morning and evening, was two cups of uncooked oatmeal soaked in water and flavored with brown sugar; at noon, two cups of double strength dried milk, plus any berries, nuts or greens that she found in the woods. Cold Splinters will be in Boston tomorrow for a fine party with the good folks from Danner and Ball and Buck. Come join us for whiskey and burritos, yeah? See you there, friends. As you may or may not know, Cold Splinters went out west before Christmas to do a little camping in the desert. The first leg of the tour included stops in Tucson, Organ Pipes National Monument, beautiful Lake Havasu City, Mojave National Preserve and Joshua Tree National Park. We woke up on Christmas morning (which marks the beginning of the second leg of the tour, more on that to come) overlooking the Pacific Ocean while camping in the hills of Malibu, CA. See some more photos after the jump – including a blurry shot of a Christmas morning Malibu sunrise – and don’t forget to follow Cold Splinters on Instagram. Have a good weekend out there. Divide and Conquer. What do y’all buy? And I ain’t talking some Green Macriobiotic Seaweed Stevia snack. More like…candy necklaces or another Cold Splinters favorite, Boston Baked Beans.